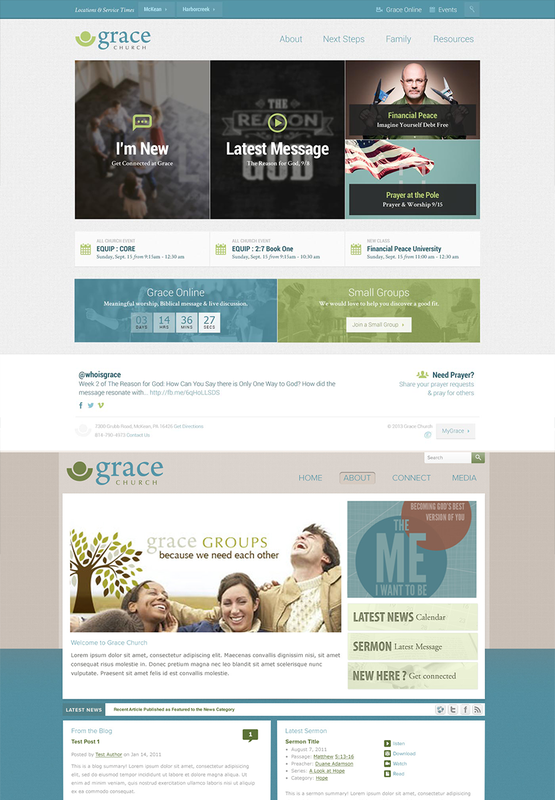 Grace Church is now able to use their website as a ministry tool. Having a digital strategy in place made this a reality. Grace Church, in Erie PA, was established in May of 1895. Over the last century Grace has grown with the community in order to live out their mission, “To make and to be fully devoted followers of Jesus Christ.” This has led Grace to one online campus and two locations, with plans for more campuses in the future. It was found during an onsite strategy session that Grace had a high barrier small-group sign up process. As a result only 52% of the people who had been at Grace over two years felt their was a clear path for spiritual development. It was also found that an estimated 40% of regular attenders were not involved beyond weekend worship. On top of this, Grace church has two locations but is looking to expand to other locations. 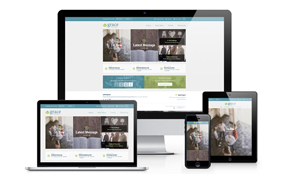 So, they needed a website that could handle the unique challenges multi-site churches face. After thinking through their content strategy with MonkDev and seeking to address problems with their old site, Grace bucked the common trend of a large rotating image banner on the homepage. Instead they opted for a more static design focused on getting people involved and connected with the church. The static design highlights the most important next steps so they are always there to greet visitors to the site. A custom campus selector was built into the site to ensure people can find all the information that they need in order to make a visit. It has service times, a map, pastor contact information, phone, and address. The custom multi-site selector was also designed and built so that another campus could be easily added to the site. To facilitate small group involvement the barriers were removed and a small group finder was include on the site. Making it easy for anyone to get involved. Also a custom next step section was created to help guide people to deeper levels of engagement. Since launch, there has been a 54.95% increase in the number of people visiting their giving page. Which has translated into the second largest number of unique givers in Grace Church history. From April to June, Grace saw 200 people responded to the gospel. Average time on the site has increased 42.83% as people engage with Grace’s online church and sermons. Grace sermons have also seen a 78.93% increase in pageviews. Everyone’s just so excited about the website and just being able to use it as a tool.